While many worshipping and religious houses closed their doors to avoid Hurricane Irma destruction, Tariq Rasheed, the imam of the Islamic Center of Orlando, opened his mosque for people seeking shelter, hosting around 150. 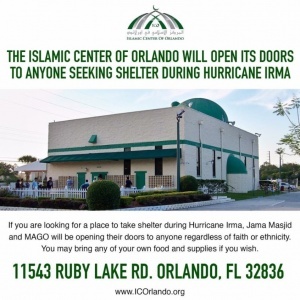 After millions were forced to flee as Hurricane Irma traveled up Florida’s west coast, the Islamic Center of Orlando, Jama Masjid, opened up its doors to all those seeking shelter. The local Orlando Mosque has been named as one of the first religious organizations to have opened its doors for Hurricane Irma Evacuees. The mosque posted its welcome on social media and was met with positive responses. The building was sheltering about 150 people as of 5 pm on Sept. 10, according to Rasheed during an interview with The Washington Post. The mosque hosted people of different ethnicities and religious backgrounds. While other worship places such as churches and synagogues have community halls or areas specifically meant to accommodate people due to pews, mosques are able to offer the actual worship space as shelter. The wide open carpeted prayer floors allow for a space to be transformed into shelter camping ground. 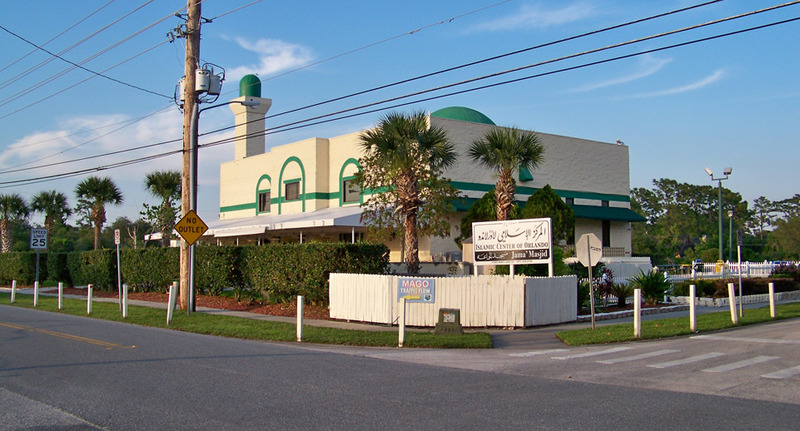 The Islamic Center of Orlando is one of the few houses of worship that remained open in the area. It announced it will continue its usual prayers five times a day, while welcoming anyone in the community who needs shelter. “Lots of hospitality, they’ve been feeding us three meals, giving us cots to sleep on and we’ve just had an excellent experience. And of course, being in the Islamic community is just wonderful for us,” one of the evacuees, Sally Killic, told The Washington Post. An estimated of 10,000 residents are homeless after Hurricane Irma blew through Florida as a massive and powerful Category 4 storm. The storm downgraded as it moved north towards Atlanta, with maximum sustained winds of 56km/h (35mph) later recorded, the National Hurricane Center (NHC) said in a statement. 6.5 million homes in Florida, two-thirds of the total, are without power after Hurricane Irma cut a deadly path through the state, officials said. Advice Column: Is the Food Pyramid Right for Everyone?